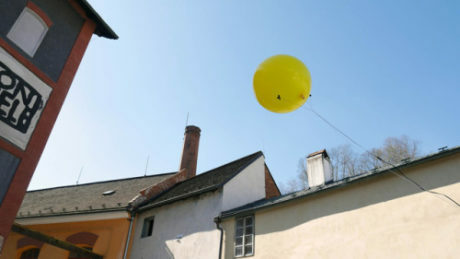 Red Bloom is a Communist Collective, and the “bloom” in our name refers to both individual and collective flourishing. That means we recognize that another world really is possible, and our best shot at creating a better world is to build the power for it together! 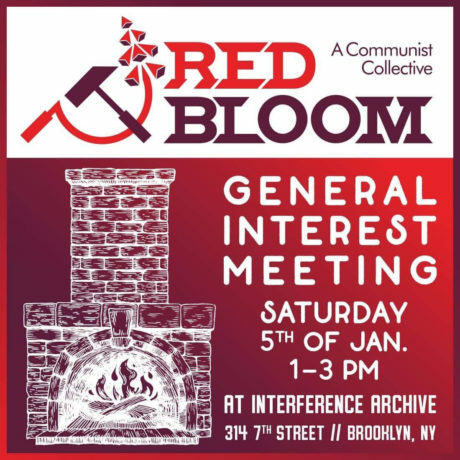 At this first general interest meeting we’ll describe what we all agree on at Red Bloom – our points of unity – and a few of our projects, including the Red Bloom Solidarity Network, our approach to Labor Organizing, and how we can study and build connections to workers through Worker Inquiries. 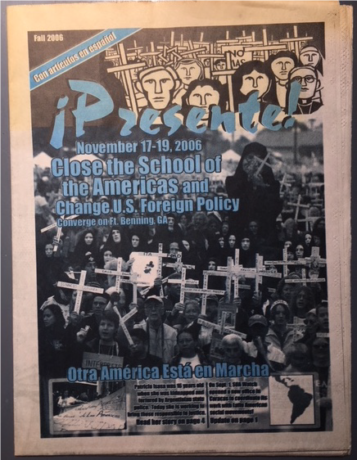 In Fall 2018, Kenyon College’s Gund Gallery featured materials from Interference Archive that included pamphlets and posters detailing protest, performance, and group solidarity events produced by the organization the School of the Americas Watch (SOAW). Join us for special open hours on Tuesday, December 25th. Looking for someplace warm to hang out? Stop by and say hello — we have hot chocolate! In a world where everything seems upside down, what does it mean to be sane? 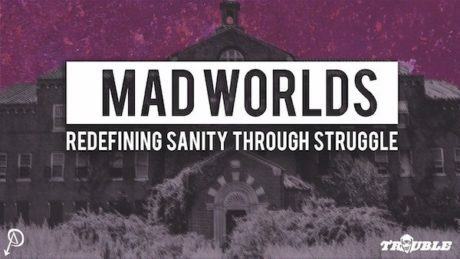 Join Sascha DuBrul (co-founder of The Icarus Project and IDHA) for a screening of the new SubMedia video Mad Worlds (33min) and a facilitated discussion about how we can take better care of ourselves and each other in a crazy world. 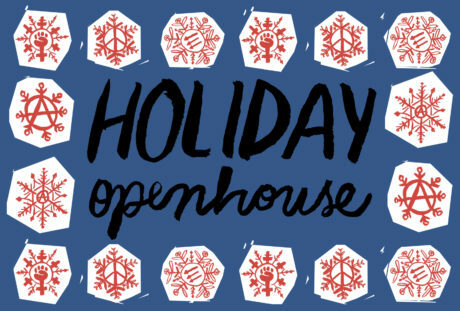 Come celebrate our second annual holiday open house on 7th Street! Stop by, sip on hot cocoa, and browse our last-minute-market of radical gifts. Other activities include Radical Snowflake Cutting with our resident scissor expert, and Holiday Cardmaking with stamps, stencils and kid-friendly spray markers (you’ve gotta see our equipment for this!). This is an event for people of all ages and abilities. Guided tour of Free Education! 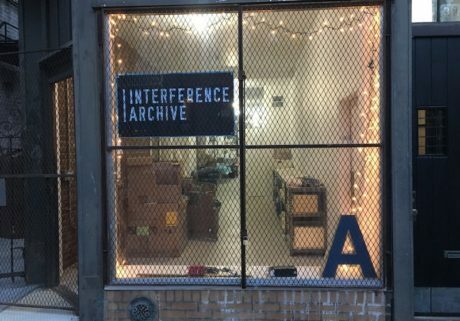 Come to Interference Archive on Saturday, Dec 15th at 5:30pm for a guided tour of the Free Education! 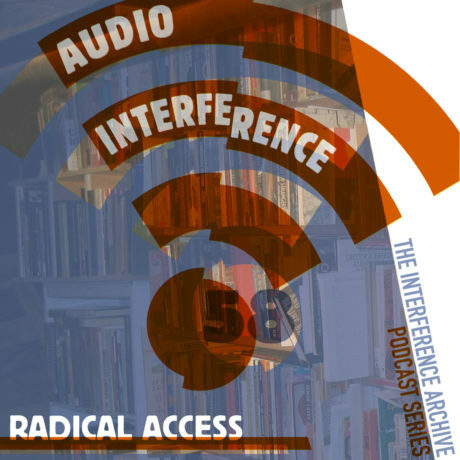 The Free University of New York, Alternate U, and Learning Liberation exhibition. 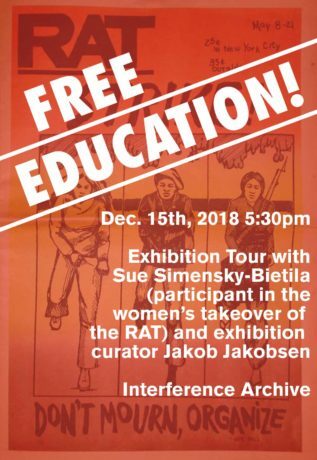 Sue Simensky Bietila and Jakob Jakobsen will lead a walk through of the project, discussing histories of the Free University, Alternate U, the Rat newspaper, Newsreel Collective, and more. 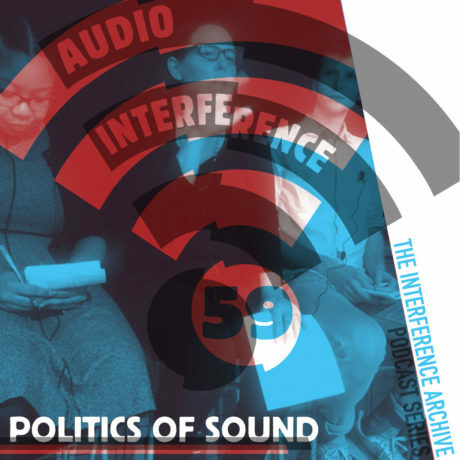 Join us for a friendly talk, potluck and a workshop introduction to the topic of field recording and the different ways of perceiving and understanding the freedom of public space and its wider context.